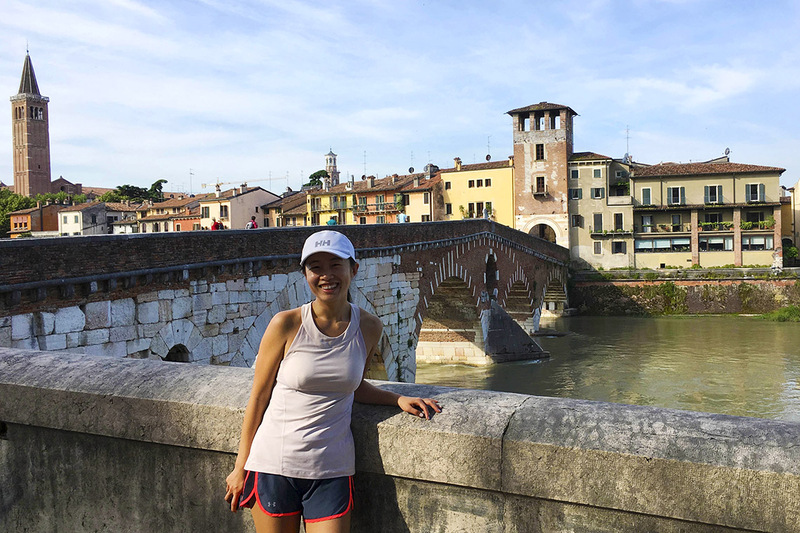 The ultimate running tour in Verona. Get a comprehensive overview of the city from any side with the 2-hours extended Scaligera running tour. You like running even on vacations and you want to view the most you can of the places you are visiting. That is the reason why we designed the Scaligera 2 hours running tour. 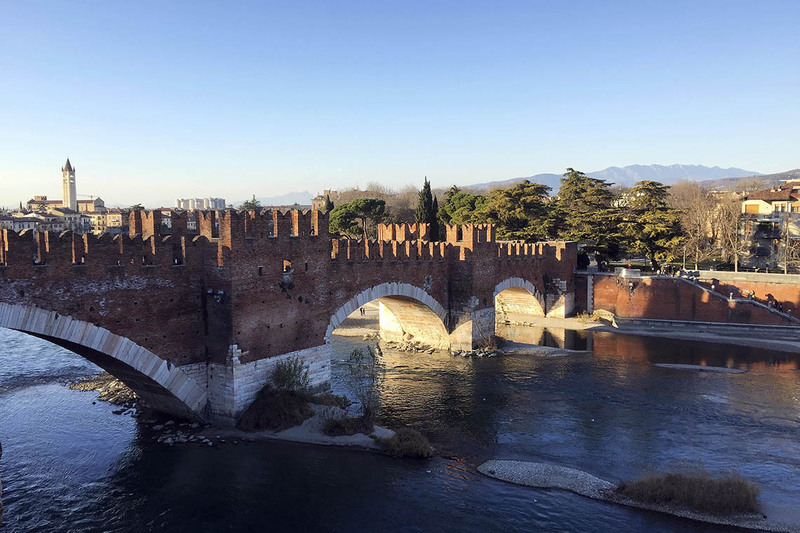 Scaligera takes the name from the “Della Scala” noble family that ruled the city of Verona between the 13th and 14th c. and intends to be the most comprehensive of our running tours in Verona. Your guide will pick you up in the early morning ready to lead you in this 2-hours running tour and to deliver the most comprehensive overview of Verona and its history. Start running, cross the river Adige and pass by the Church of San Zeno the patron saint of Verona, run on the bastions and walls covering the entire life of Juliet passing by her grave and the famous balcony, cross the city centre through Piazza dei Signori and Piazza delle Erbe and see the ancient Roman Theater. Climb the stairway to Castel San Pietro: when on top take a rest and learn about the city from your guide. Then go down to Trento Gate and enter again in the city centre, pass by the 12th century Duomo di Verona and reach the Arena before finishing the tour at Castelvecchio. Stops: the running tour consider stops along the course to rest and to listen about Verona from your guide. Set your number of stops with your guide during the run. Meeting point: hotel/apartment pick-up. If your accommodation is not located in central Verona the meeting point will be set in front of Castelvecchio.